Have you ever made any Muffin Tin Meals? I've made several types of Muffin Tin Meals but never more than once a year. They are fun to make and taste good. They are more work for a family meal than just using a casserole dish or pie pan. 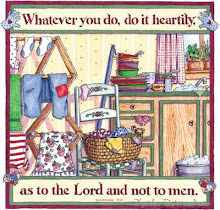 My kids liked them when they were little so I can see me making them for my granddaughter. Make sure to grease your pan well so they don't stick and come out in one piece. They could be made by using up leftovers. I could see making a lot of them once we are empty nesters. I could make a whole recipe and then freeze the extra servings for another meal but I would use the large size muffin tin. They would be nice in a lunch for a Bento Box style meal. I think I will make some up next week and freeze them for the holidays for appetizers. 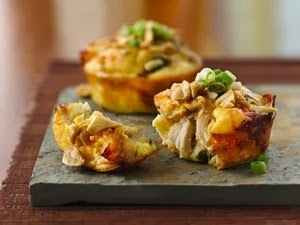 The Impossibly Easy Mini Thai Chicken Pies look good so I will try them.